Una nueva nominación. Esta vez para el Alfred Fried Photography Award 2016. The results are: 16.883 images have been submitted from 127 countries. Most submissions came from India, Germany, Russia, USA and Brazil followed by UK, China, Austria, Iran and Italy, Greece, Ukraine, Vietnam, Philippines and Spain. This is a plus of 2.768 images or approx. 20% in comparison to 2015 as 14.115 images from 121 countries have been submitted. 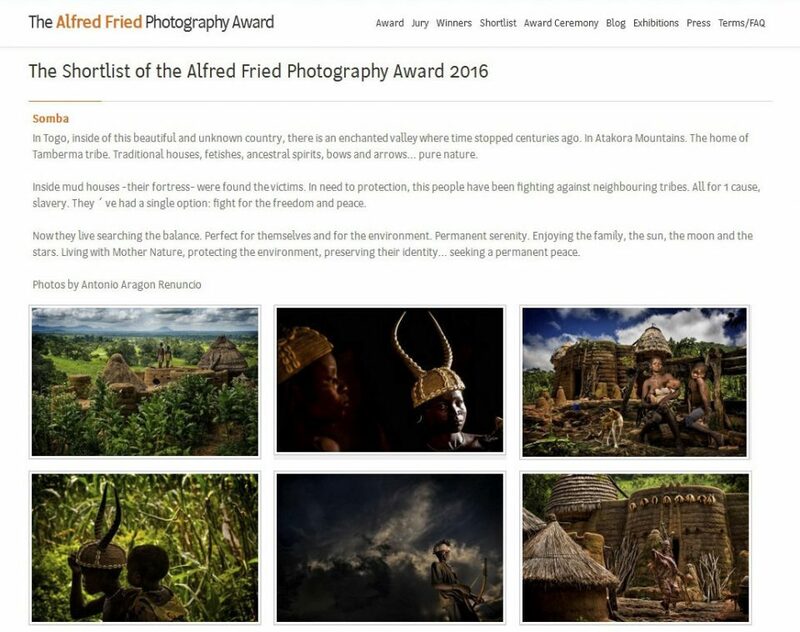 The Alfred Fried Photography Award award ceremony 2016 will be held on 20 September 2016 at the Austrian Parliament. Gracias al departamento profesional de Nikon, mi trabajo está presente en el importante libro que edita la marca nipona y que reune una selección de los mejores trabajos del año 2015 realizados por fotógrafos que usan cámaras Nikon. Un verdadero placer y orgullo. Dos nuevos premios. 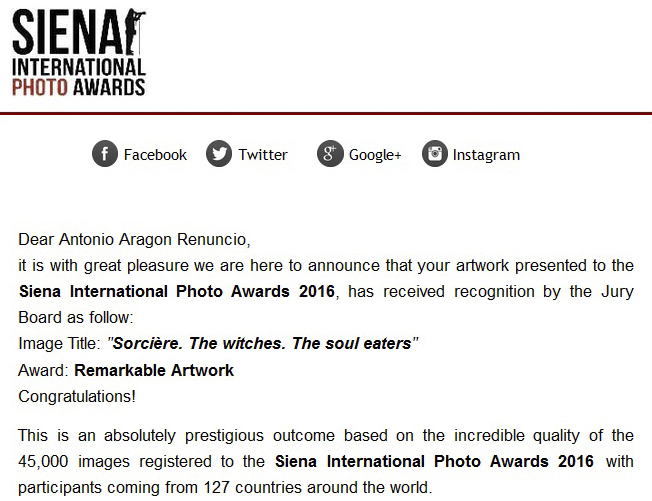 Esta vez en el Siena International Photo Awards 2016. Congratulations! This is an absolutely prestigious outcome based on the incredible quality of the 45,000 images registered with participants from 127 countries around the world. Due to its outstanding merit, your work has also been chosen to be included in the SIPA official Collective Photo Book entitled “Beyond the Lens” and will also be displayed at the Siena International Photo Awards Exhibition from October 29th to November 30th 2016. Un nuevo galardón. 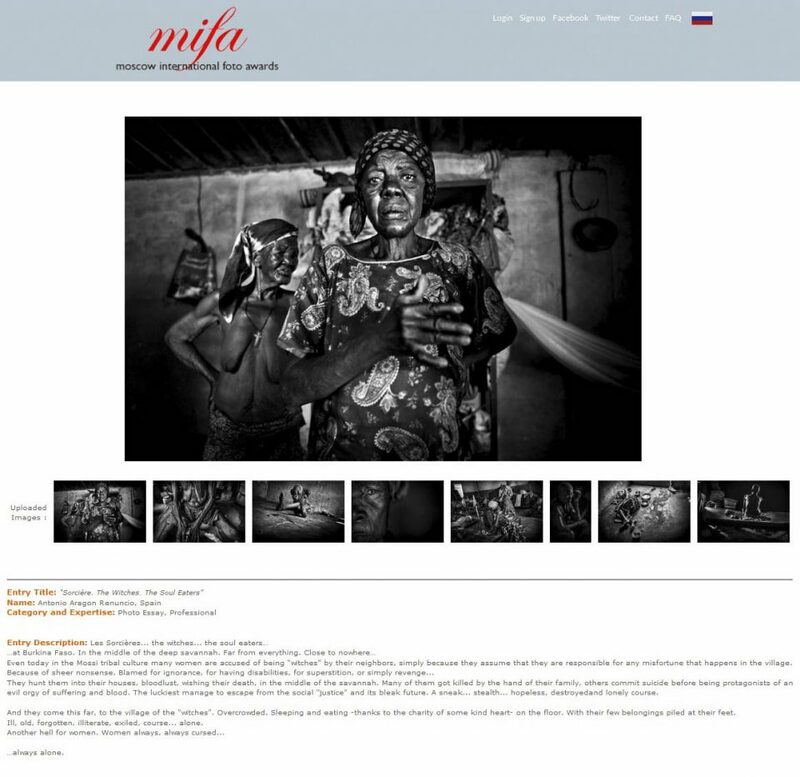 Moscow International Foto Awards (MIFA). HM, 2016. It is my great pleasure to inform you that your work has been awarded a winning placement in the MIFA Photo Awards 2016! MIFA received thousands of great images from 85 different countries. MIFA asked the Jury Panel to review each submission based on the following criteria: originality, creativity, composition and most importantly overall impact. The identity of participating photographers are hidden from the jury to ensure fairness and integrity of the MIFA competition. You can check all MIFA’16 Winners here. The 40 Main Category Winners will be exhibited from 20 July – 7 August in Na Kashirke Gallery in Moscow. All other winners will be projected on screen. To see the list of winners’ included in exhibition click here. Vídeo entrevista en la prestigiosa LENS CULTURE Magazine. Un nuevo premio, el Grand Prize HIPA 2015-16. 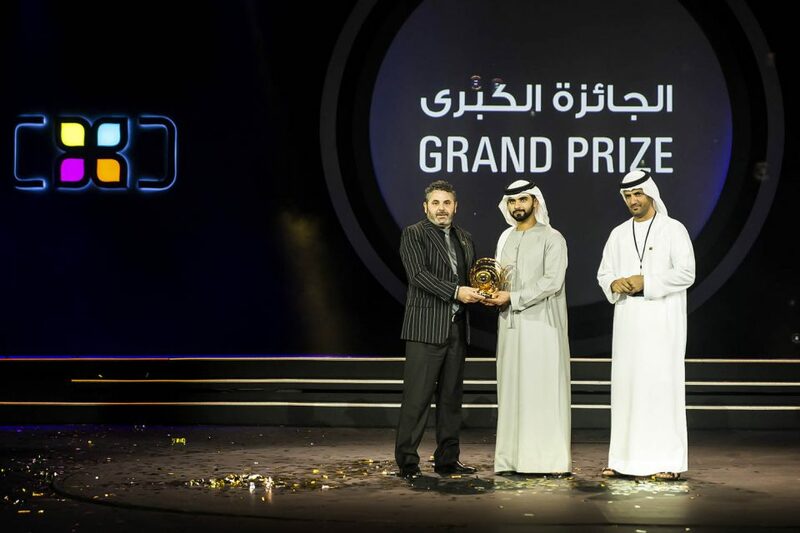 Antonio Aragón Renuncio was awarded with the grand prize at the Hamdan bin Mohammed bin Rashid Al Maktoum International Photography Award (HIPA), winning $120,000 at the ceremony, which took place at Dubai’s Burj Plaza last night. The Spanish photographer’s winning image, based on the season’s main theme of ‘Happiness’, depicts a group of impoverished Togolese children playing outside an NGO clinic. The 5th Season HIPA received a total of 80,420 photographs from 32,712 photographers from 173 countries around the world. For five years, the Hamdan International Photography Award (HIPA) competition has celebrated the work of photographers from around the world. This year, awards were given in the categories of happiness, wildlife, and father and son, as well as general excellence. 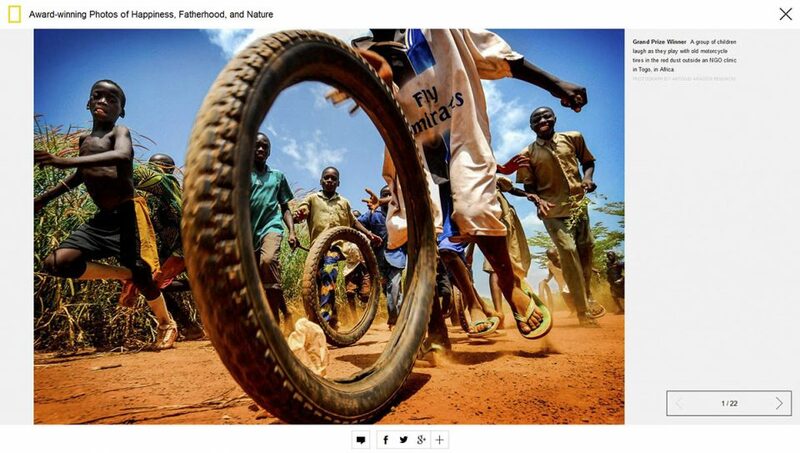 The winning photos capture moments of happiness, love, pain, and tragedy in countries ranging from Chile to Egypt to Russia to Togo.The $120,000 grand prize (one of the largest in the world) was awarded to Spanish photographer Antonio Aragon Renuncio for his lively portrayal of children playing in West Africa (above). 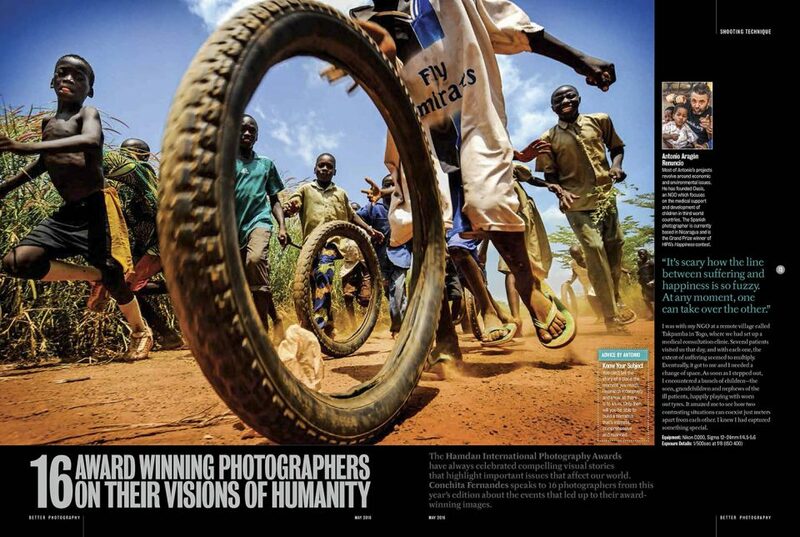 Other winners include National Geographic photographers Steve Winter (wildlife) and Brent Stirton (happiness). 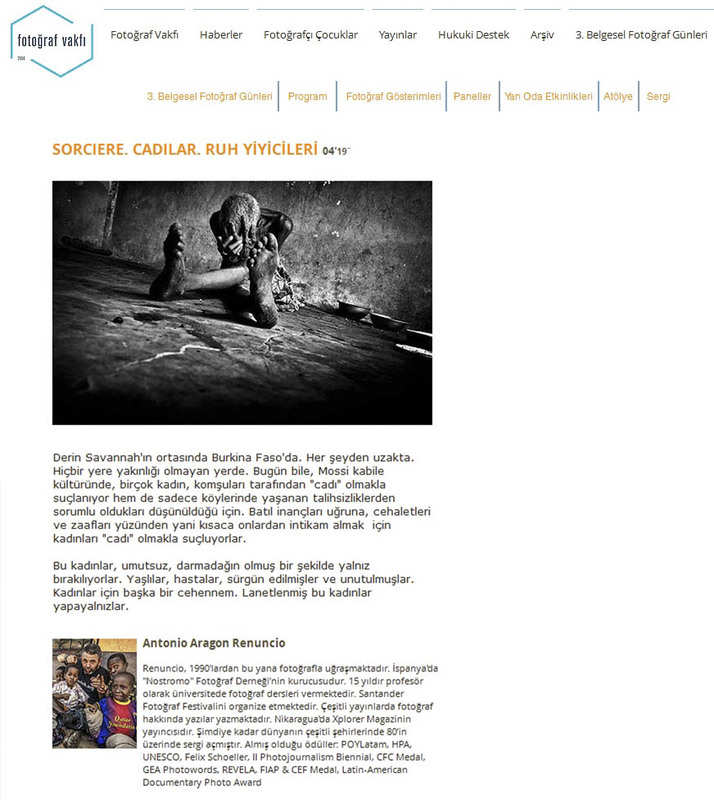 He sido seleccionado en los III DOCUMENTARY PHOTOGRAPHY DAYS de Estambul (Turquía). 3rd Documentary Days will be started on 20th May till 12 June . We would like to inform you that your work was selected and will be exhibited on 21th May Saturday 13:00 at Salt Galata and 23rd of May 19:00 at Galata Fotoğrafhanesi in İstanbul. More information about your work and the programme ( in Turkish) will be published on our web page within next days. Un nuevo premio, accesit en el FOTO NIKON PRO 2105. Nos es grato comunicarle que una de sus fotografías ha sido seleccionada como accésit en el concurso fotográfico FOTO NIKON 2015. 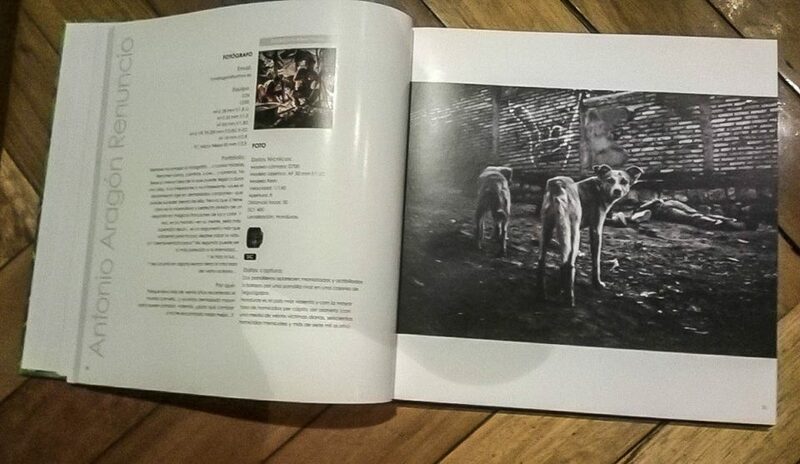 Reciba nuestra más sincera enhorabuena ya que su obra formará parte del libro FOTO NIKON 2015 que recopilará los trabajos de los 4 fotógrafos ganadores y los 72 accésits de las cuatro categorías. Una vez que se publique dicho libro a finales de Mayo, recibirá un ejemplar en la dirección postal que nos indicó en la inscripción del concurso. Aprovechamos esta ocasión para felicitarle una vez más y darle las gracias por participar y apoyar este proyecto.